While waiting for my fan contest piece to be scanned, I wanted to do up another quick piece. And what better than to celebrate a young driver who truly reaches out to his fans. This is Dion Von Moltke in the new Flying Lizard R8 GTD. 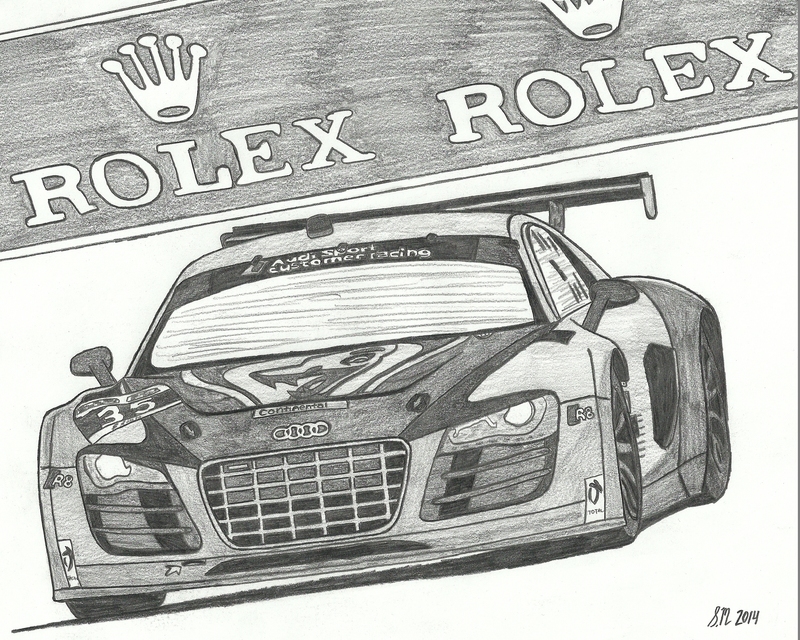 As the title states, the R8 is new business for the long-term Porsche stalwarts, and the livery looks fantastic on it. Available in all sizes for reprint upon request.